This is a favorite rice side dish and I always make extra to take for next day lunch. In a medium saucepan, bring 1 1/2 cups water to a boil. Add rice, season with salt and pepper, and return to a boil. Reduce to a simmer, cover, and cook just until tender, 15 to 17 minutes. Remove pan from heat, and let stand, covered, for 5 minutes. 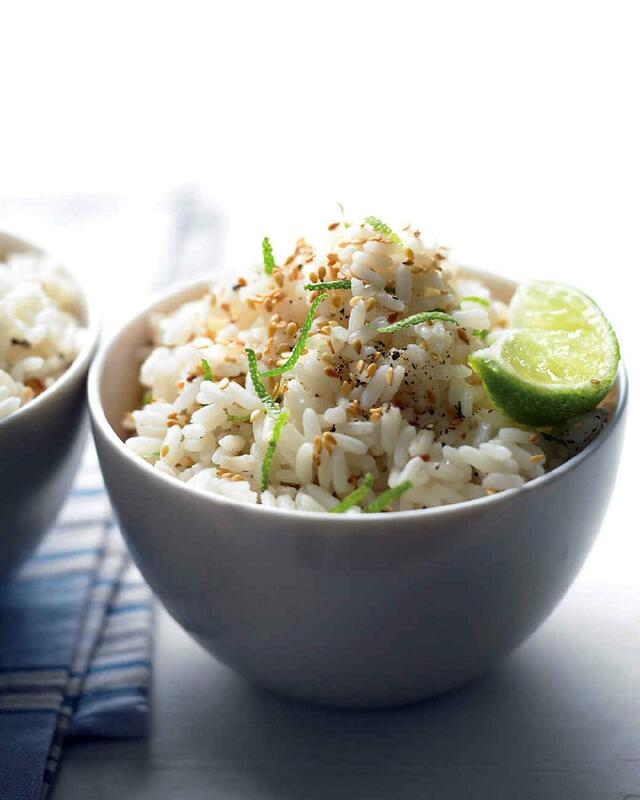 Toss rice with sesame seeds, oil, and lime zest and juice. Season with salt and pepper, and fluff gently with a fork.